Michigan’s largest state park encompasses 25 miles of wave-washed shores, four inland lakes, entire river systems, countless waterfalls, enchanting wooded peaks, and an escarpment, which rises slowly from the edge of Lake Superior until it plummets abruptly into the Carp River valley. 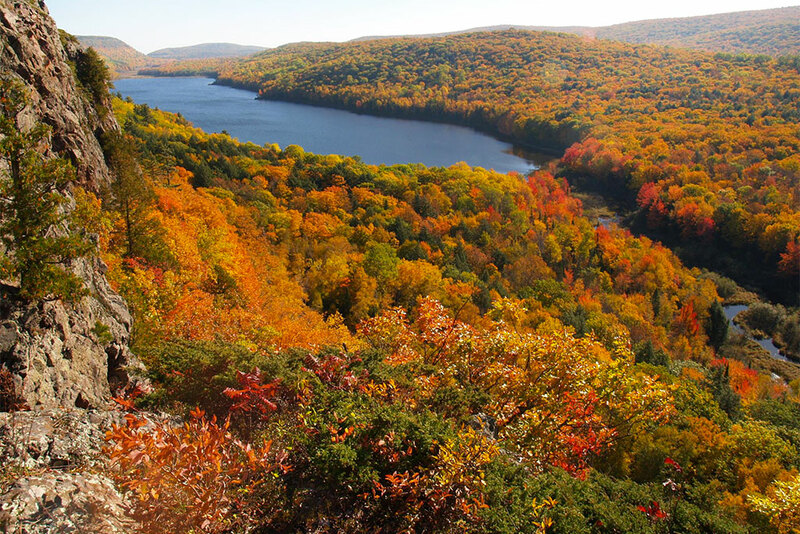 Still, the park’s most impressive feature – and the reason for its creation – is the virgin forest of eastern hemlock and northern hardwoods and the variety of flora and fauna that it supports. Because of these attributes, the park is an ideal location to inspire creativity. Selection will be based on artistic integrity, ability to reside in a wilderness environment, a willingness to donate a finished piece of art inspired by their stay in the Porcupine Mountains, and the artist’s ability to relate and interpret the park through their art medium. The program is open to all art forms except those that may be inconsistent with the mission of the park. Applications for the 2017 spring, summer and fall and 2018 winter residencies must be received by March 31, 2017. Artists will be notified on or before April 21, 2017. Share the post "Artists sought for residence program at Porcupine Mountains State Park"
Categories: Arts, Featured, and Gogebic County.